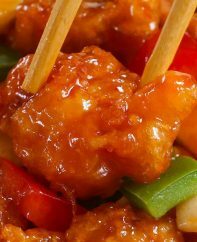 BBQ Swineapple has mouthwatering rib, bacon and pineapple flavors and is cooked on the grill or in the oven. Always a conversation starter, it’s perfect for serving to meat lovers when you’re having relaxed parties with friends and family! 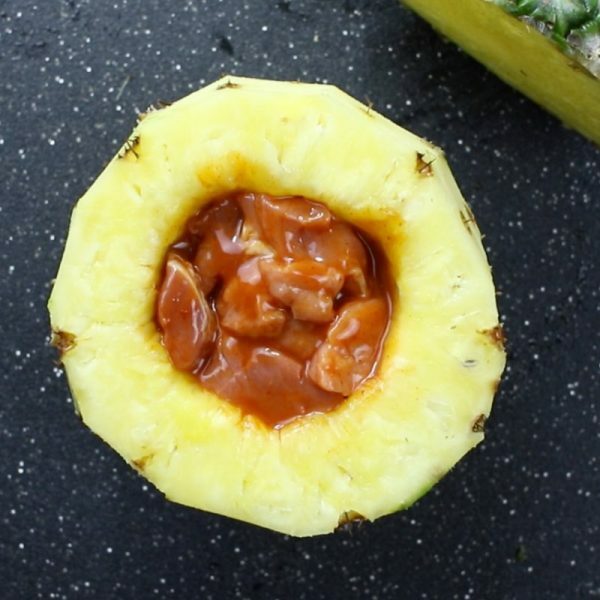 Swineapple is great for a leisurely backyard BBQ party when you have time for slow cooking, like on the Memorial Day or Fourth of July weekends and also for Father’s Day. 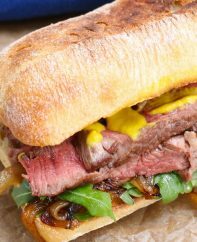 Definitely an epic recipe for meat lovers! 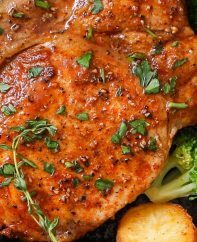 It’s one of my family’s favorite pork recipes, along with Grilled Pork Chops and Baked Bone-in Pork Chops. Swineapple is exactly what it sounds like: a delicious combination of pork and pineapple. It’s rumored to have been invented in the past 10 years by meat smoker Josh Bush of Laporte, Texas. It vaguely resembles roasted Kalua pig commonly found at a Hawaiian lu’au. 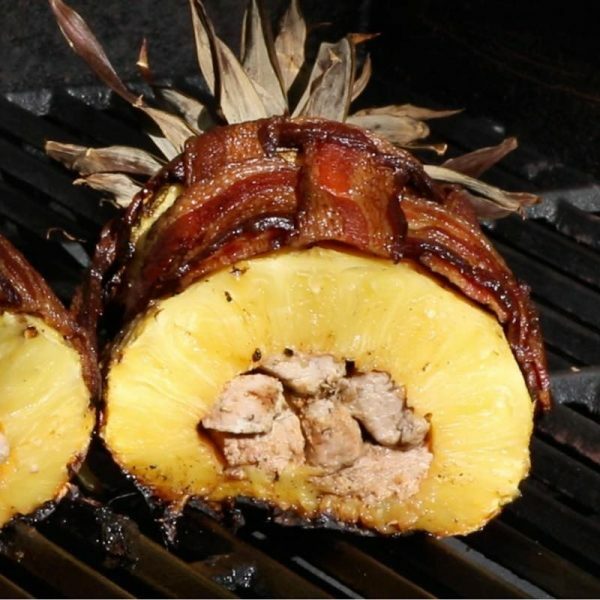 You stuffed a pineapple with pork tenderloin or boneless ribs, wrap with thick-cut bacon and grill on low heat. 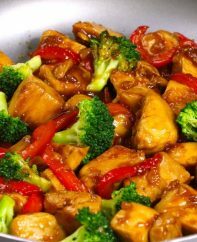 The pineapple bastes the pork during cooking to make an unbelievably tender and delicious dish! Swineapple only requires about 15 minutes of prep, but you’ll need about 3 hours of cook time. So stock up on your favorite cold beverages and gather with friends to create some anticipation! In terms of equipment, you’ll also need some wooden or metal skewers to hold the pineapple together while it cooks, and a sharp serrated knife to shave off the outside of the pineapple. An aluminum steam table pan or some foil is helpful to prevent burning on the bottom. The first step is to make the pork stuffing. 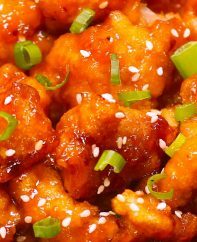 Cut the pork into bite-size pieces and mix in your favorite barbeque sauce and paprika. It doesn’t need any added sugar because the pineapple juices will lend additional flavor. Then prepare the pineapple by slicing off the top and shaving off the outside with a knife. Finally, you need to use a paring knife to dig out the core of the pineapple, leaving about an inch of flesh all around including the bottom. Reserve all your pineapple pieces, as the juices rendered will come in handy later on. The next step is making the bacon weave according to the video tutorial below. 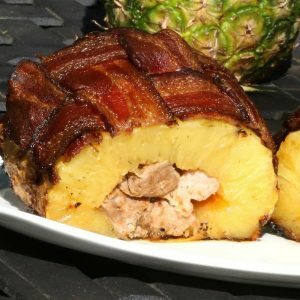 You can stretch the bacon somewhat to help it to wrap around the pineapple, but it doesn’t matter if it’s not long enough. At this point, you’re almost finished the preparation! 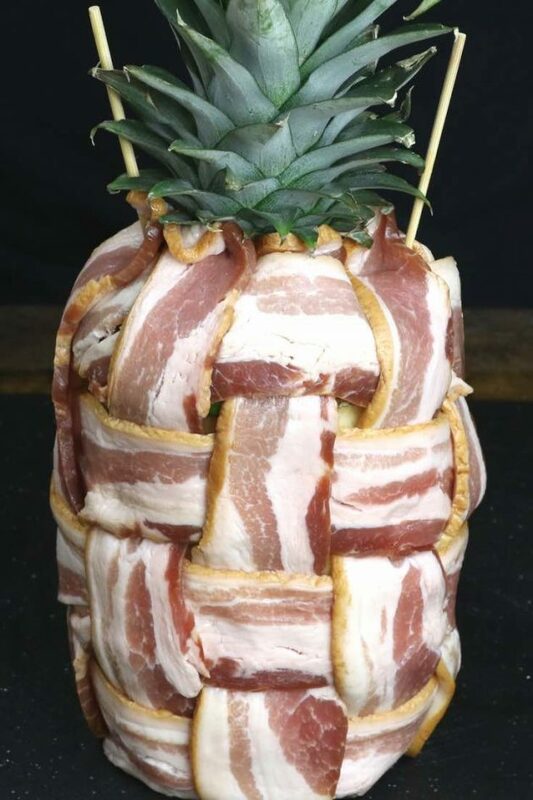 Fasten the bacon weave to the pineapple using several wooden skewers. 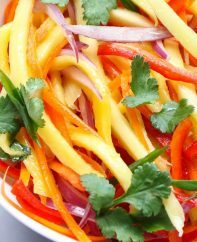 Place the Swineapple into an aluminum steam table pan or some foil, and place on the grill or in the oven. The trick to this recipe is not letting the heat go too high, causing the bacon to overcook. A temperature of 275°F is perfect and should be almost the lowest heat on your grill. Baste the swineapple occasionally with your reserved juices to keep it moist. This amazing BBQ Swineapple is perfect for meat lovers for relaxed summer weekends with friends and family. Always a conversation starter, this recipe has mouthwatering rib, bacon and pineapple flavors and is cooked on the grill or in the oven. Using a sharp knife, cut out the core of the pineapple to an inch above the bottom. Use a melon baller to scrape out the flesh and reserve. Cut the pork into 3/4 inch x 3 inch strips and add to the bbq sauce mixture. Set aside. Cut off the outer 1/4-inch of skin of the pineapple. Add the pork mixture into the pineapple cavity. Replace top of pineapple. Place a piece of wax paper or foil on a work surface. Make a 5x5 bacon weave according to the video. 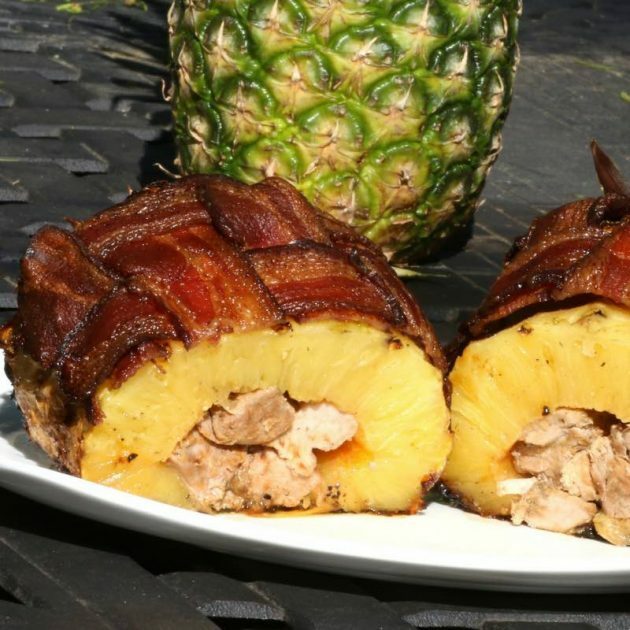 Pick up the bacon weave and wrap around the pineapple. 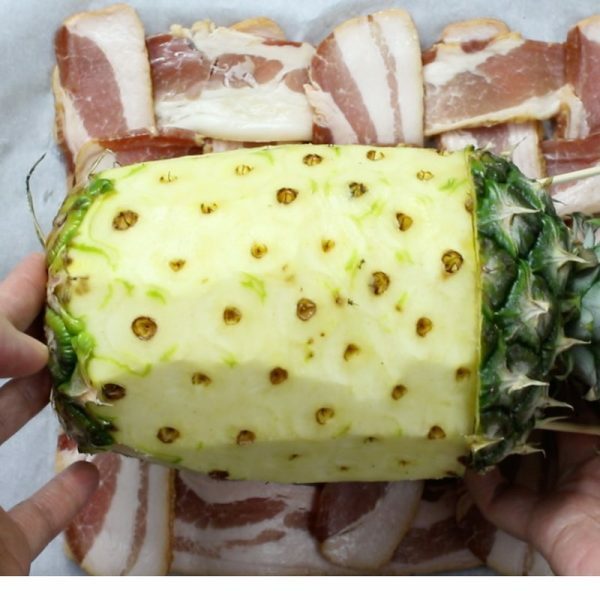 Use two skewers to attach the bacon, pineapple top and pineapple body together. Turn on your grill to low heat or your oven to 275F degrees. Add a 12-inch square piece of foil in the middle, and place the swineapple on top with the bacon side up. Cook for 3-4 hours until bacon is getting crispy, basting occasionally with leftover pineapple juices. Serve and enjoy! 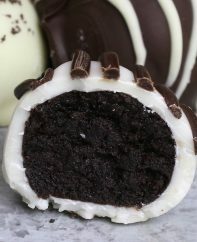 Such an incredibly creative and delicious recipe! Love this combination! Oh my gosh! 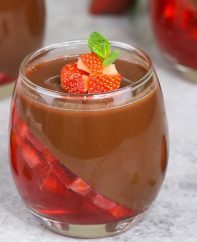 What a fun recipe!! 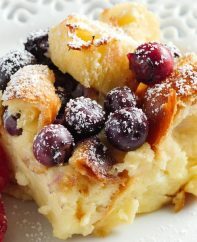 Makes me want to throw a backyard luau just so I can serve this! If you’ve never made one don’t. While it looks great the fresh pineapple reacts with the pork and causes it to have a slimy texture and off taste.